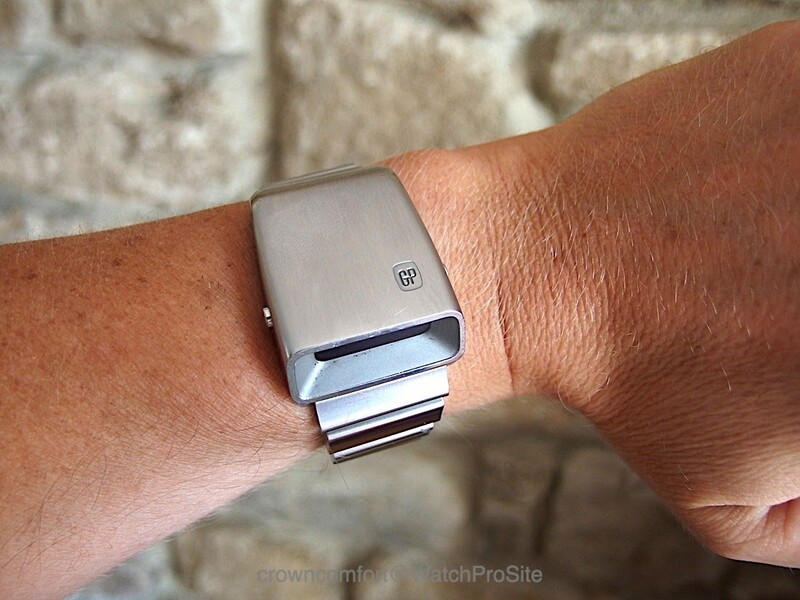 When it comes to Quartz watches, I usually try to stay away as far as possible. 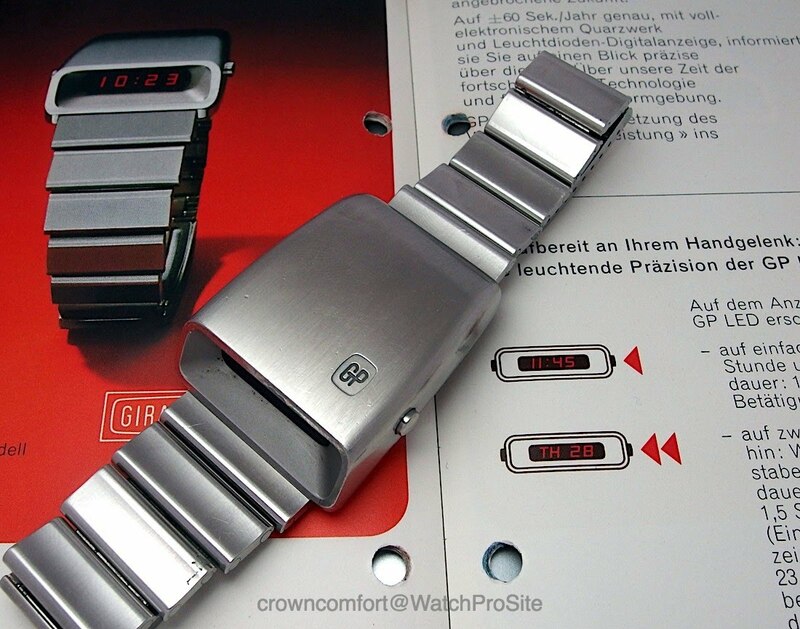 However, we cannot ignore the Quartz development especially as it had such a huge impact on the Swiss watch industry in the 70s and 80s, ending many smaller manufacturers long history. The idea seemed striking at that time. More accuracy, lower maintenance, easy user operation etc etc etc., but not many saw the dire consequences. A Quartz module could be mass-produced for a few cents, not making it any less good than a manufactured module. The combination of a luxury good of the highest standards with a cheap electronic component would devalue the luxury good and the lack of maintenance would actually mean less work for after-sales service. I think it is fair to say that today’s automobile industry is facing a very similar challenge with the rise of electric vehicles. Like Quartz took away the soul of a mechanical watch, an electric motor takes also away the soul of a classic combustion engine vehicle. The key difference I see is that a watch today is foremost a luxury good which allowed the mechanical watch to come back in full swing, whereas with cars, the environmental aspects will likely out a permanent end to petrol engines with only a few classic/vintage cars being nurtured by its owners. 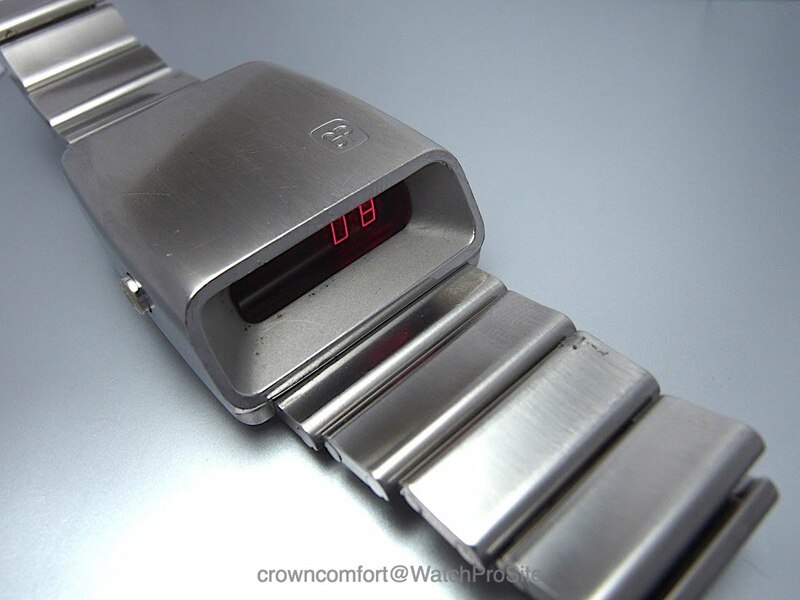 But back to Quartz watches. There are an abundance of uninteresting Quartz watches from the 70s and 80s that no one will shed a tear if they will be forgotten. 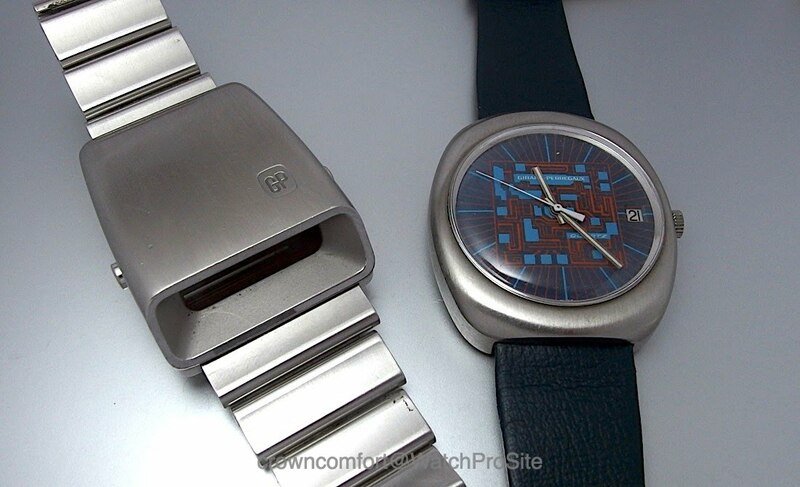 However, there are also a few Quartz watches that were revolutionary when they came out and hit us with a striking design. I believe those very few are / will be very collectable. 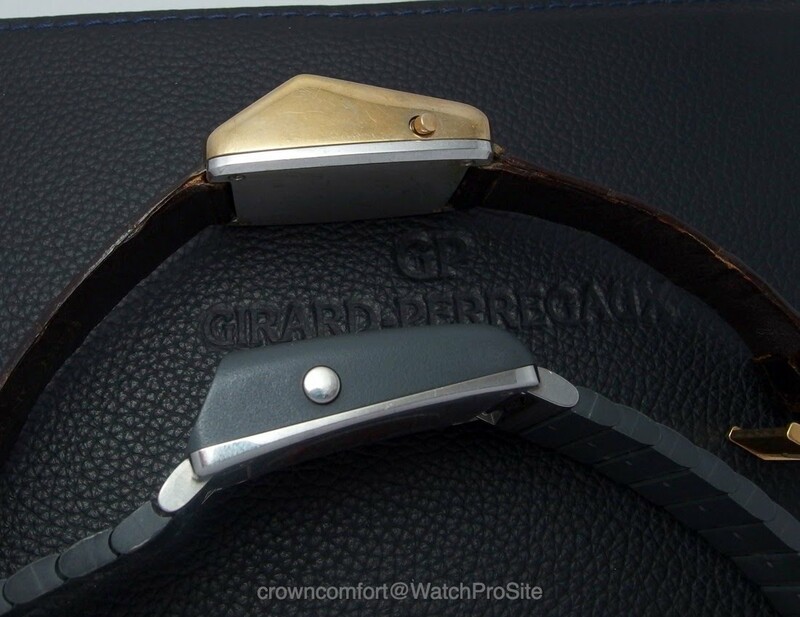 Which brings us to the Girard-Perregaux LED Casquette. It is still not commonly known that GP was a true Quartz pioneer and innovator. 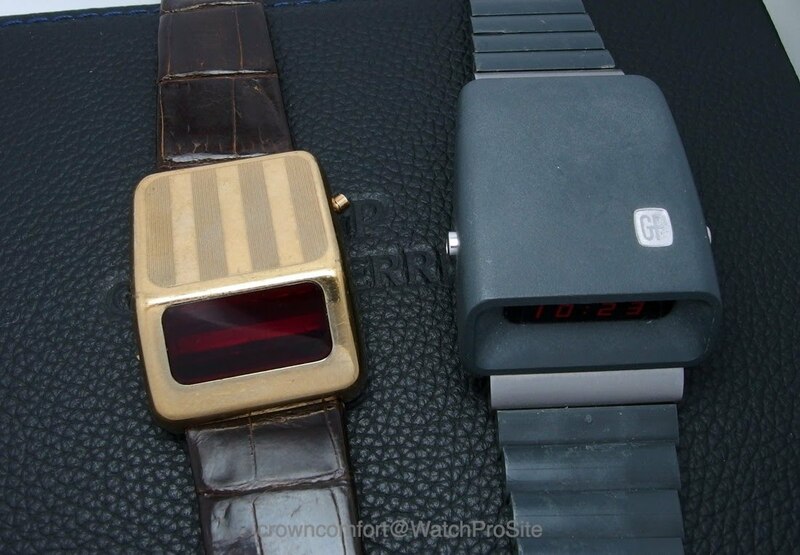 One of the key challenges developing battery powered wristwatches has been from the beginning battery life. Unlike today with it’s integrated circuits and low power consumption components, in the early days, Quartz modules were made from discrete electronic components that drew a lot of power. Some of the first designs that used a battery power were tuning fork mechanism (Bulova) and electronically regulated balance wheel (ETA / ESA). Both were fascinating innovations but suffered practicality for a successful mass product. Seiko was the first to successfully launch a production Quartz movement, so the Swiss had to join forces to counter that development. 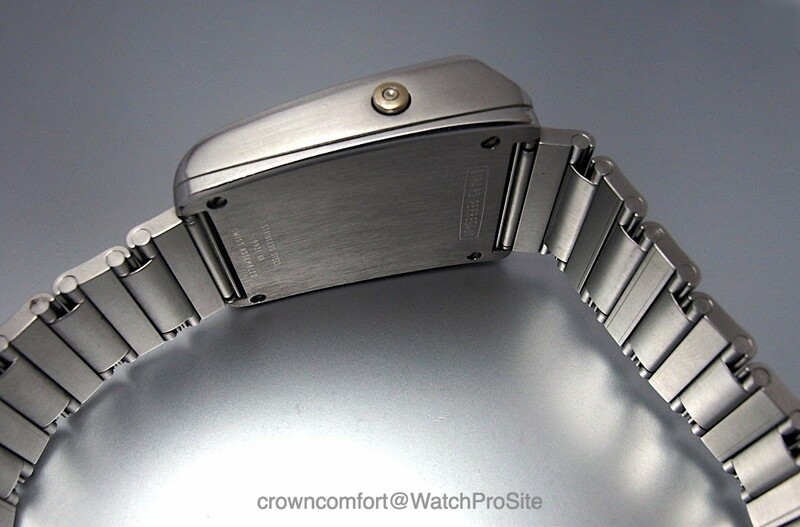 The Swiss watch industry combined forces in the BETA-21 project whose design never really got over the prototype stage, suffering in particular from short battery life. GP on the other hand took a separate road, developing its own Quartz module. Quartz Caliber 350 with a Quartz frequency of 32768 Hz was the first to use this oscillation frequency which subsequently has become the universal standard for all Quartz watches till today. One the key remaining challenges was to “transform” the electronic oscillation into a mechanical of moving hands for the classic analogue display. Here as well GP set some standards with using an encapsulated stepping motor driving the seconds hand with one step per second. The Calibers 350-352 are so well built with pre-aged Quartz modules and the mentioned fully encapsulated stepping motor not requiring any lubrication that even 40 years later many of those modules if taken care of, still run without problems. But soon there was a new challenge ahead. 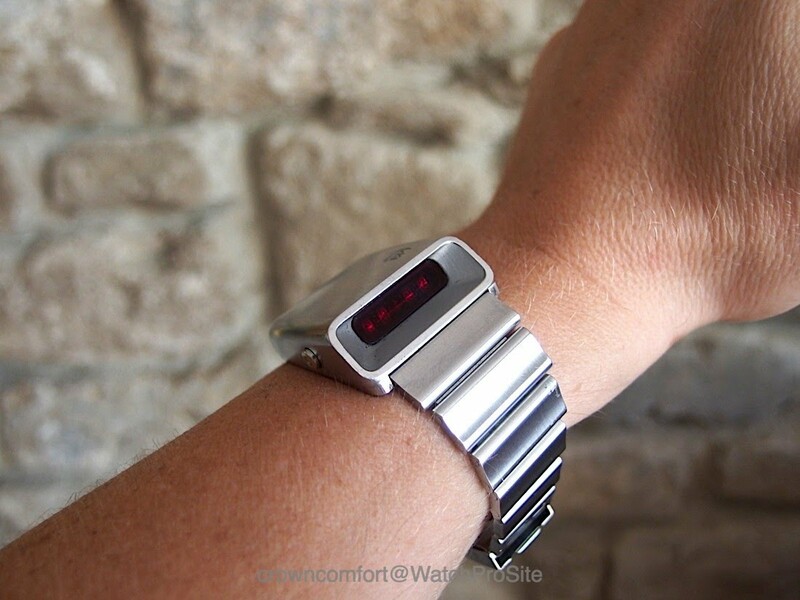 The classic analogue time display became more and more out of fashion in favour of a digital display with LEDs. 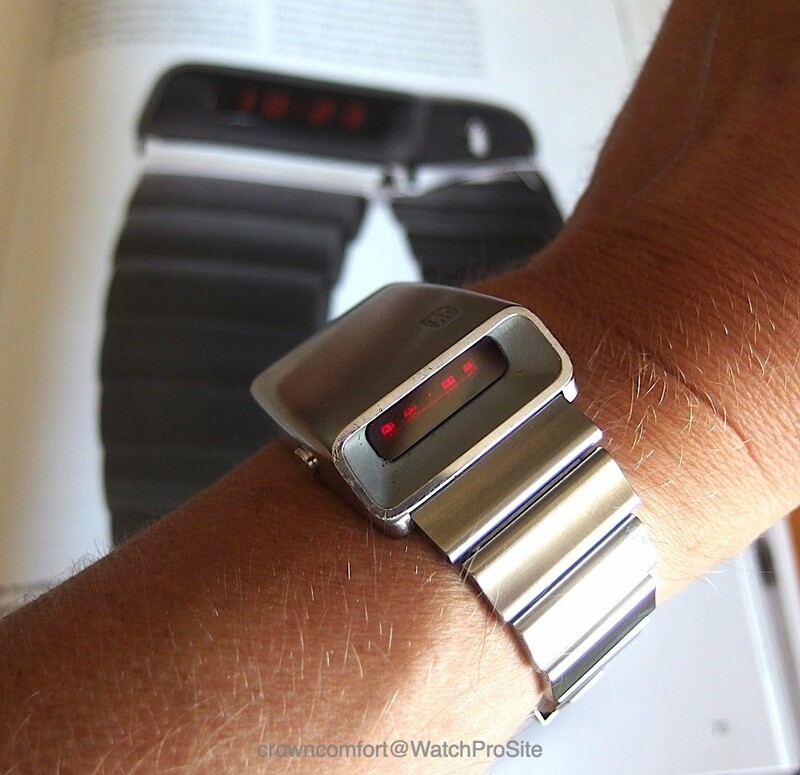 So Girard-Perregaux had to react to that trend and in 1976 a new Quartz module 395 was developed that used a more compact quartz module and a LED display, removing now completely any mechanical parts with the exception of setting and display buttons. However, GP would not just put a new technology into “old clothes”, no, they brought about another revolution of the case design. Of course, designs with a so-called “drivers” display had been tried but GP took it too another level. They for one experimented with a material called Makrolon, a plastic composite that is light and durable. 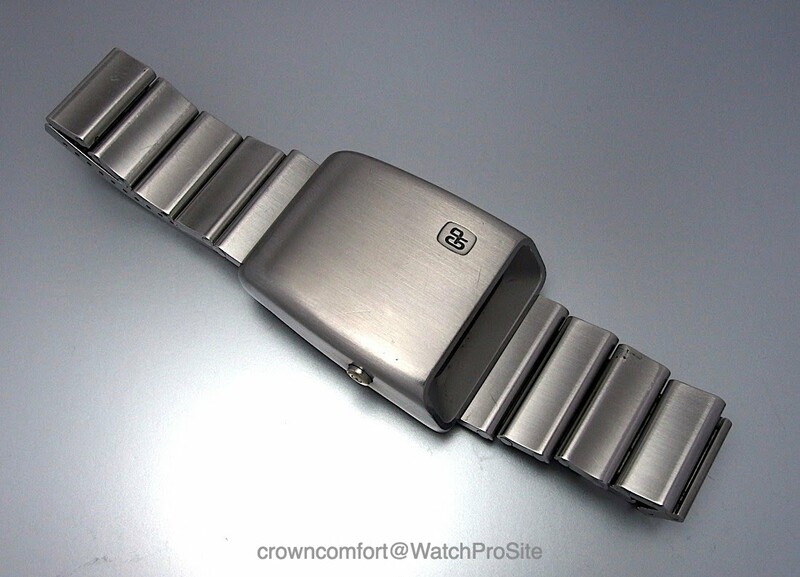 While the Makrolon is very cool with its black case, many watches had problems with poor electromagnetic shielding and in the end it remains plastic. The steel case however feels like it is built like a tank. Very solid case and matching solid bracelet of the highest quality. So let’s take a look at the Steel 9931 NA LED Casquette that has entered my collection. 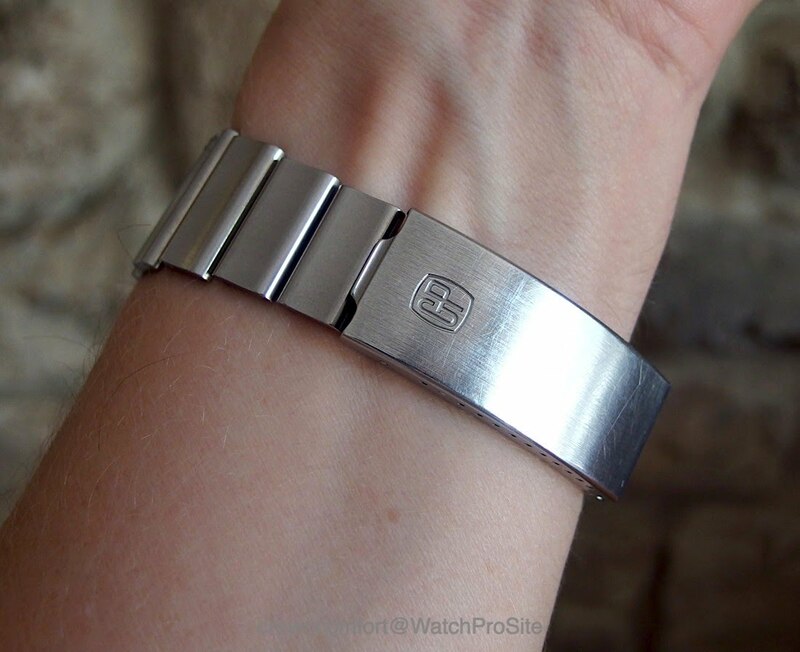 Usually, the case is subject to wear and often you only find scratched or polished examples. This one however remains in its original finishing with very few visible signs of wear. The module inside is like brand-new, untouched and the LEDs have that vibrant dark red colour. As with almost all LEDs, the LED display is normally in sleep mood and you need to push a button to bring it alive. Time and Date display is extinguished again after a few seconds, faster than allowing me to take a photo. Running seconds is displayed for 1 min unless another push of the button darkens the display again. The left button is used to set the time and date. 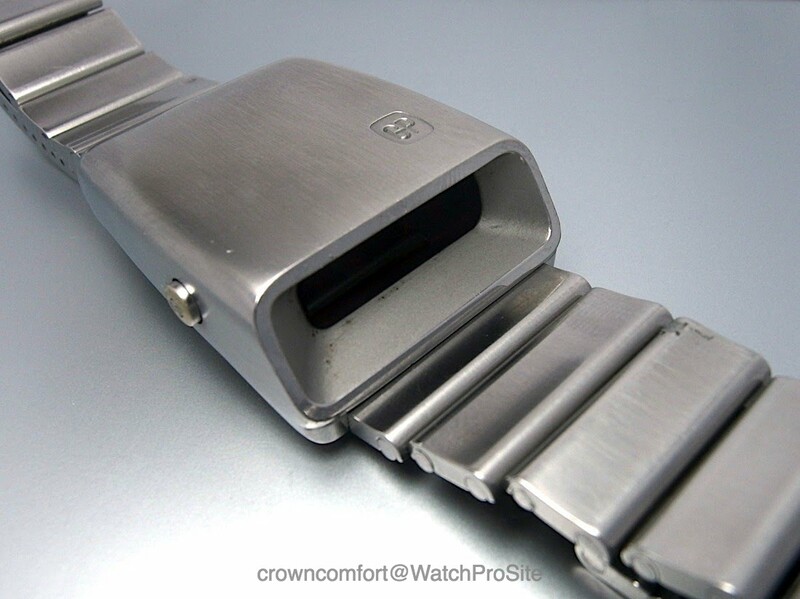 The module requires two watch batteries V303/SR44SW and with moderate use will likely be good for about 1 year. Those batteries are very easy to source. 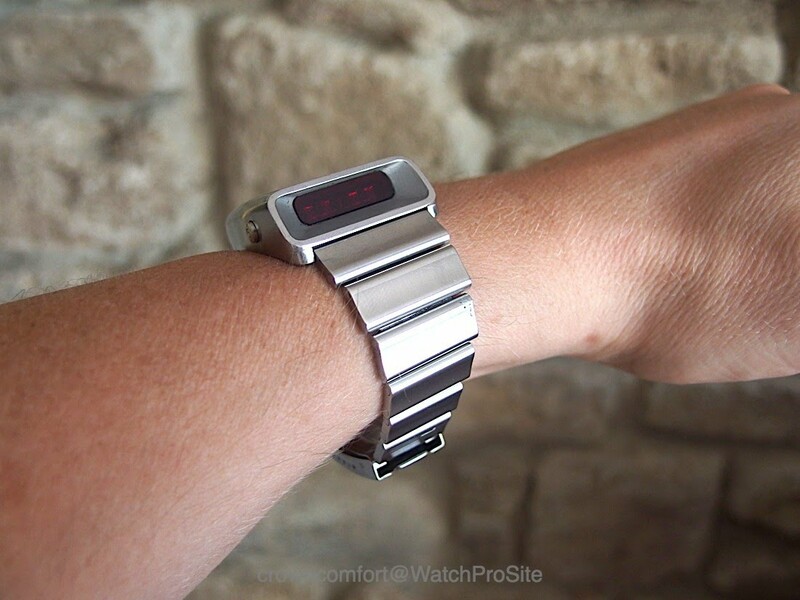 I can't conceive a more funky watch! Also, great point about the demise of the mechanical watch being diverted by the fact that it is, ultimately, a luxury good compared with the factors for buying a car anyway. Great distinction. As funky as it is, I can't see one on my wrist. Thanks Baron! it certainly will attract a lot of attention when on the wrist, surely not a fit for every wrist, but it is indeed super funky and cool. Thanks my friend. Cool to see your (mechanical) Driver watch. Thanks Mr. Glass for the kind words same here, not into Quartz watches at all, but this is a very special piece in history and very important for a GP collector. Thanks my friend, yes that Amida is super funky as well and a pair would be awesome.